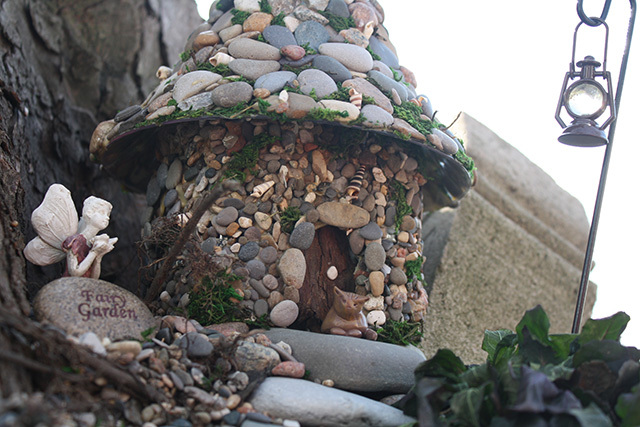 In December 2013, along with picture below, I wrote a post on building a stone fairy house for your fairy garden. The instructions included using a technique for the main part of the house that I described in another post. Well , the main part of the house has worked out fabulous. Not so the roof! I admit I am a little clumsy and I dropped it on a cement patio stone – the first time – and it hit the edge of a counter the second time. Still, I like to be able to put my fairy houses outdoors. I worried that the roof being on a different kind of plastic base than the bottom, was more brittle and determined that I would find a fix. After trying some silicone suggested in an online article and not being happy with the mess and difficulty of working with it, I decided to turn to the experts. People who do these kinds of crafts all the time. Namely, the members of a great group on Facebook called Miniature and Fairy Garden Chat. I posted my pic, expressed my frustrations and not very long afterwards I had a wealth of great tips, suggestions and information. Nanci Z-S thought I was on the right track with the silicone and offered a great tip to make it easier to work with. She says she squeezes her silicone into a dish of water with plenty of dish soap and pulls out what she needs with soapy hands. The silicone will not stick to your hands but will stick to everything else. I’ll bet this extends the working time too. Several people suggested using a sealant of some sort and Melinda T said she uses mortar after gluing the stone down. She added that using cheese cloth to wipe the excess mortar away does a good job of cleaning all the residue from the stone. Gluing something to the plastic before the stone was also suggested, such as plastic mesh…I tried burlap and it does seem to be helping make the stone adhere easier. 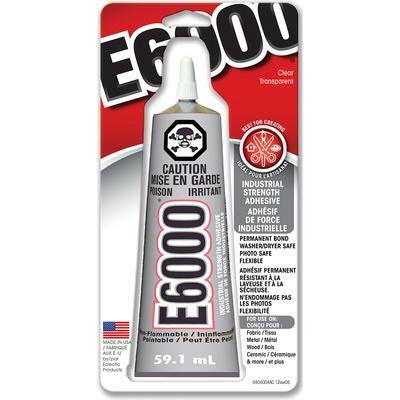 The first suggestion made was jewelery glue, and the discussion came full circle back to this when Debbie G mentioned E6000 and Jill A-H and Colleen F started to sing the praises of this apparently very useful adhesive . Sounds like ‘amazing’ stuff. What do you use for difficult fastening jobs? Keep crafting, and, as always…have a fairy good time. This entry was posted in DIY Theme and tagged canadian fairy houses, DIY fairy garden ideas, DIY fairy garden projects, DIY fairy houses, fairy garden, fairy garden crafts, fairy garden DIY, fairy garden house, fairy garden supplies, stone fairy house, The Great Canadian Miniature Garden Design Contest by Marthe Hook. Bookmark the permalink.